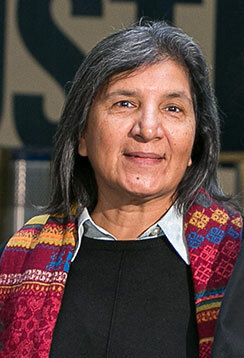 New York, NY, April 11, 2018 – John Jay College of Criminal Justice today announced that honorary degrees will be presented to Rashida Manjoo, Professor of Public Law at University of Cape Town, South Africa and former United Nations Special Rapporteur on Violence Against Women, and Ronald V. Clarke, University Professor at the Rutgers School of Criminal Justice and theoretical innovator of situational crime prevention. These internationally recognized scholars will address the Class of 2018 at the College’s 53rd Commencement exercises on Wednesday, May 30 at Arthur Ashe Stadium in Flushing, N.Y.
For over 30 years, Manjoo has been an international human rights advocate, particularly in the area of women’s rights as human rights. She was a trailblazer in the fight for a binding global treaty to recognize extreme domestic violence against women as human rights violations. Appointed as the Special Rapporteur on Violence Against Women by the United Nations Commission on Human Rights in 2009, a position that she held until 2015, Manjoo gave special attention to violence against women and girls with disabilities. Her thematic reports to the Human Rights Council and the General Assembly have focused on state responsibility to act with due diligence to promote and protect all the rights of all women. Prior to her work at the United Nations, Manjoo had decades of experience as an anti-Apartheid activist and women’s liberation campaigner in South Africa. Trained as a lawyer, she also served as the former Parliamentary Commissioner of the Commission on Gender Equality (CGE) of South Africa, where she was involved in active research and in the monitoring of the country’s progress in promoting and protecting women’s rights. She is currently the co-convenor of the Human Rights Program within the Law Faculty at the University of Cape Town and has authored many reports, journal articles, and books including Women’s Charters and Declarations: Building Another World. One of the most important figures in criminal justice research and education, Clarke has helped to transform the study of criminology over the past four decades. His work has reshaped crime prevention strategies worldwide to focus on changing the characteristics of the situations in which crimes occur. Over the past 25 years, this concept has help lead to significant crime reduction in New York City, the United States and other nations. Clarke previously worked in various capacities for the Home Office Research and Planning Unit, the British government’s criminological research department, where he became director in 1982. While at the Home Office, Clarke helped to develop the rational choice theory on crime and to launch the British Crime Survey, the British counterpart to the U.S. National Crime Victimization Survey. He began his academic career in the United States in 1984 as a professor at Temple University and later became the Dean of the School of Criminal Justice at Rutgers University. Clarke is the associate director of the Center for Problem-Oriented Policing, a virtual institute supported by the U.S. Department of Justice. In 2015, he was awarded the prestigious Stockholm Prize in Criminology. 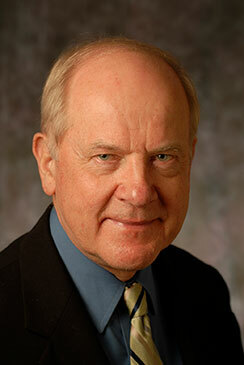 The founding editor of the anthology Crime Prevention Studies, Clarke also is author or co-author of more than 300 books, monographs and papers. Manjoo will be awarded the honorary degree of Doctor of Humane Letters and Clarke will receive the honorary degree of Doctor of Science. For more information about John Jay’s Commencement ceremonies, visit the Commencement site.